1. Select Configuration from System tab. 2. Select Main Website from Current Configuration Scope dropdown that is on left side. 3. 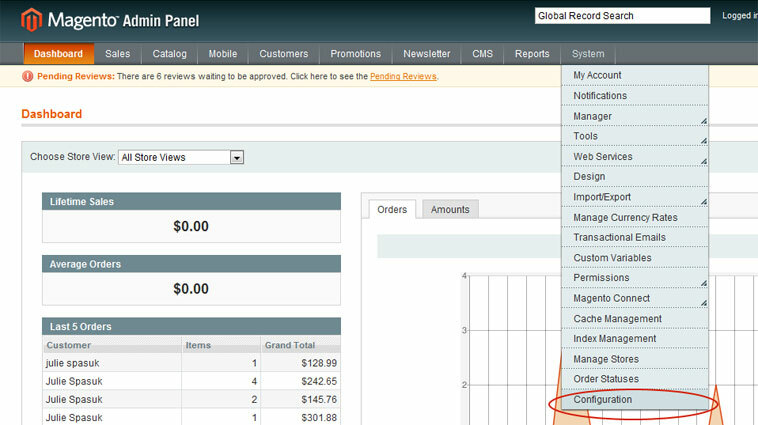 Select Shipment Methods from Sales section that is in left side bar. 4. From Table Rates tab tab change condition to Price vs. Destination and click on Export CSV button and you will get popup to open or save tablerates.csv file. 5. 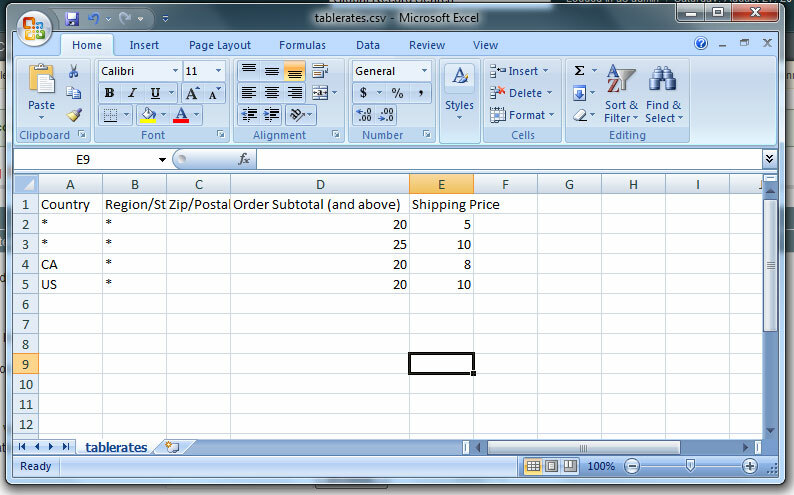 Save tablerates.csv file on your system and open it, you can set all shipping rates here according to Order Subtotal. In start this file just have column headings. You will enter your own rates I used to test following rates. 6. To upload tablerates.csv file click on Browse button in Import field. 7. Dialog box will open to select file. Now go to the directory where you save tablerates.csv file and select it and click on Open button. 8. Now click on Save Config button. 9. File will be uploaded after clicking Save Config button. 10. To change rates for any other website just repeat all above mentioned steps and from Step 2 select any other website from dropdown. 11. Use Default check boxes must be unchecked for all other websites if you want to upload different tablerates.csv file for anyother website. 12. To see shipping rates on cart page, you have to get estimated shipping charges after giving Country, State (optional), Zip code. Previous story What is difference between DoFollow and NoFollow links?